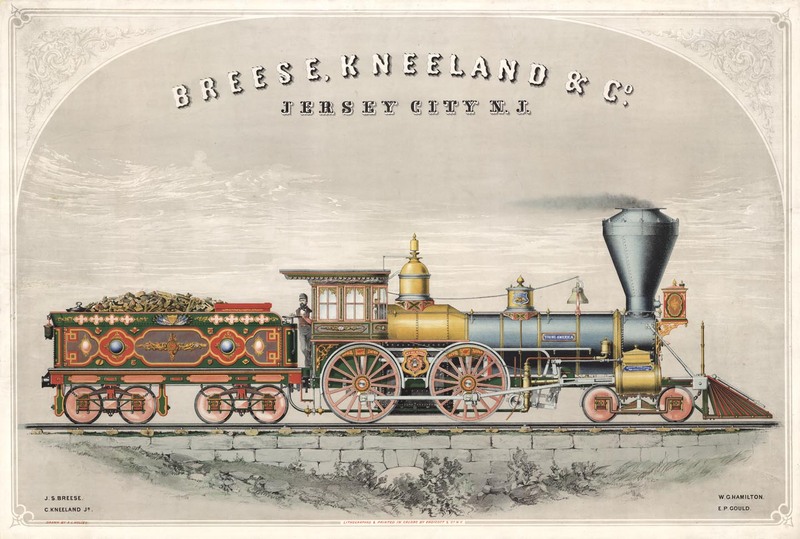 BREESE KNEELAND & CO. JERSEY CITY N. J. ENGINE "YOUNG AMERICA." Lithograph printed in color, c.1855. Image size 21 1/4 x 32" (53.5 x 81.3 cm). Publisher : Lithographed & printed in color by Endicott & Co. N.Y. Printed in lower left J. S. Breese and C. Kneeland, Jr. and lower right W. G. Hamilton and E. P Gould.